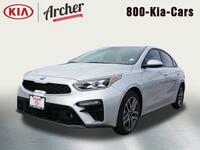 We are proud to introduce the new 2019 Kia Forte! 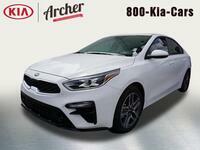 The sophisticated sedan looks dramatically different for 2019 with a new sporty styling and a luxurious cabin. No matter where your adventures lead, you can count on the 2019 Kia Forte to get you there in style and in maximum comfort. Choose from a variety of trims, including the FE, LXS, S, EX and EX Launch Edition, each with its own long list of premium, high-tech features. Even the base FE is standard with a variety, including an 8-inch touchscreen, a four-speaker audio system with USB port and much more. 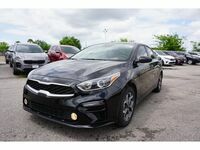 In fact, every 2019 Kia Forte is also standard with a long list of driver assist technologies, including dual-zone automatic climate control, forward collision warning, lane departure warning, lane keeping assist and much more. 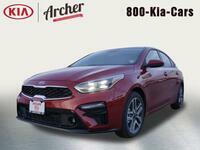 Kia’s new Forte sedan has been redesigned for 2019 and boasts a fresh new Stinger-influenced exterior and a high-end cabin with a variety of new technologies. 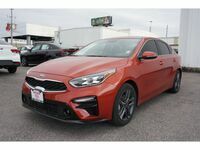 The 2019 Kia Forte delivers a sharp, spirited performance thanks to the 147-hp, 2.0-liter four-cylinder engine paired with a six-speed manual or a new, fuel-efficient CVT. 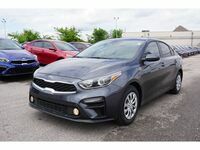 Take a step inside the 2019 Kia Forte’s cabin and you will find comfortable seats and ample passenger room in addition to a large selection of high-end technologies, including Apple CarPlay, Android Auto and an 8-inch touchscreen. 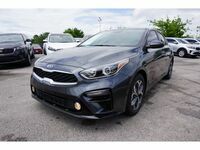 Explore all the features of the new 2019 Kia Forte with a test drive! 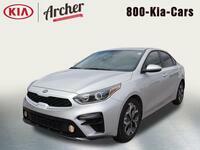 Are you interested in taking a closer look at the new 2019 Kia Forte? We have a large selection of Forte models to choose from and a helpful team of experts who can answer any questions you might have. Stop by and see us today!